🐸 – Fast Track Lana Kimono. I think it was going to be too big. And i needed the yarn. Does anyone else frog a project because they need the yarn for another one? 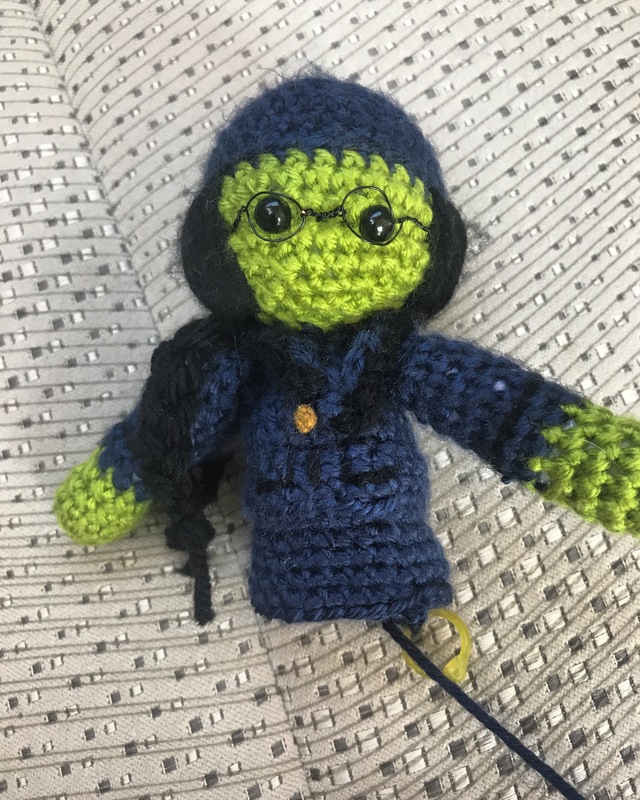 Elphaba. She is coming out so cute. I was trying to have her done for my aunt since I was going to see her over the weekend, but it just didn’t happen. 🙄 I’m hoping to finish her in the next day or two and can send it to her. I lost my E hook somewhere in my travels over the weekend so I just got a new one from Amazon yesterday. 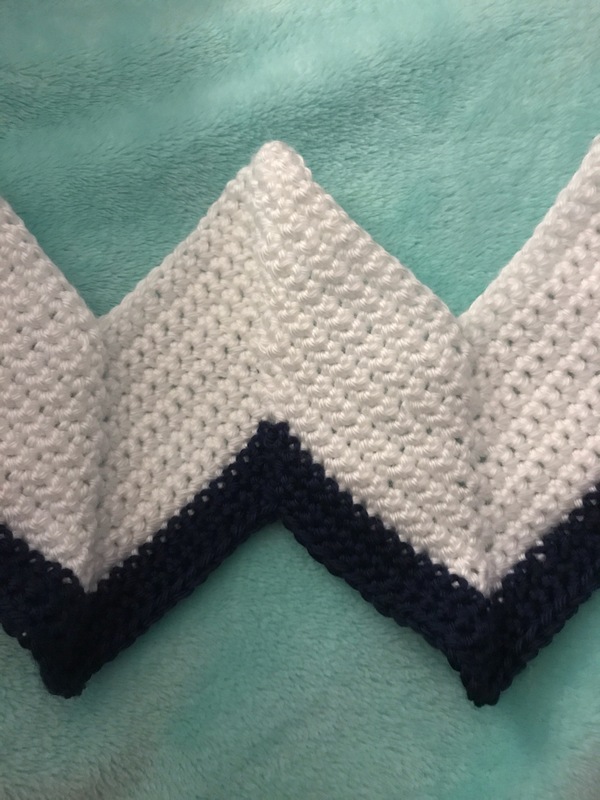 Baby blanket. In my last post, I showed the project I began on Sunday afternoon. I’ve only made a little progress since then, adding a few more white rows and beginning the navy. So in love with this guy. Princess Doll Project. I have not touched this project this week either. I did buy some little embellishments for the doll dresses at JoAnn’s last week. I think they are going to look super cute! There’s my progress for the week, thanks for checking in on what I’m up to!